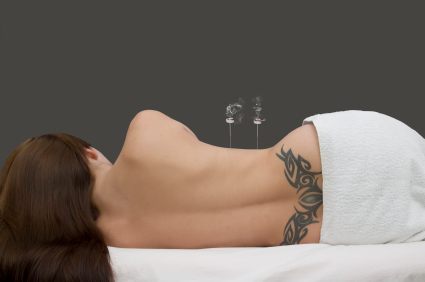 We get asked all the time: does Traditional Chinese Medicine have a Gynecology component? Can TCM help with traditional women’s issues such as pregnancy, infertility, reproductive health, and similar? Traditional Chinese Medicine has a long history in helping women achieve optimal health and wellness. Gynecology and Obstetrics are definitely part of our overall service. From the earliest times, humans have known women’s bodies need specialized care. In fact, it’s within this specialized care for women that the concepts which make up Traditional Chinese Medicine become very clear. At its core, TCM believes in the interconnectivity of the body, and there is nothing which accentuates the interconnectivity of the body than the miracle of pregnancy. To give a small example or two, a female body knows when it is fertile (and influences behavior in response to such), and there probably isn’t a mother alive who says she didn’t “feel” her baby inside of her (indeed, many women report just “knowing” they were pregnant). Traditional Chinese Medicine can help your body regardless of age or life stage. If you are infertile, we have specific treatments (Acupuncture / Chinese Herbal Medicine, etc.) which can help your body better facilitate the natural reproductive process that is already hardwired inside of you. If you are pregnant, we can help increase the positive flow of energy in relation to your unborn child. And if you are experiencing painful periods, going through menopause, or anything else, TCM can help your body adapt and cope naturally. Truthfully, we’re not looking to replace any woman’s primary health care routine (unless they want such, of course), but to augment it. And for some women, we may be an option that has not yet been tried (for example, TCM has succeeded where other fertility treatments have failed, etc.) Regardless, if you are having any issues at all, we’d love to help. Click here to contact us and make an appointment.